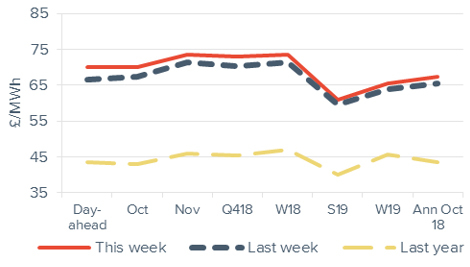 All gas and power contracts recovered the previous week’s decline, rising as wind generation is forecast to fall and demand expected to rise early last week. 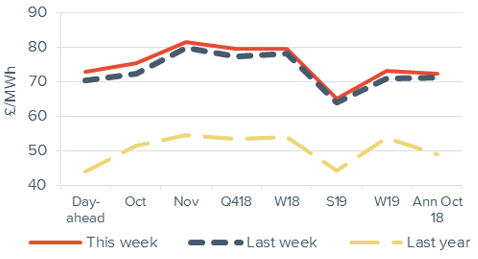 Despite EU ETS carbon experiencing its first weekly average decline in 13 weeks, power prices continued to be supported by commodity markets with gains in Brent crude oil and API 2 coal prices. Day-ahead gas prices rose 6.3% to 76.0p/th despite the gas system being oversupplied for much of last week. Day-ahead power followed its gas counterpart higher, up 5.2% to end the week at £70.0/MWh. All seasonal gas and power contracts increased week-on-week. 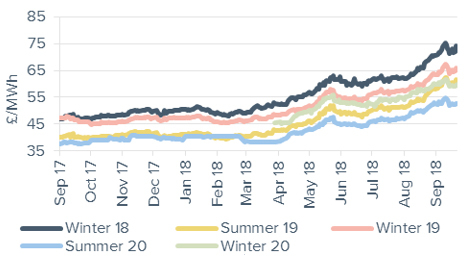 Seasonal gas contracts were up 4.0% on average with both winter 18 and summer 19 gas gaining 4.2% to 79.8p/th and 63.7p/th respectively. 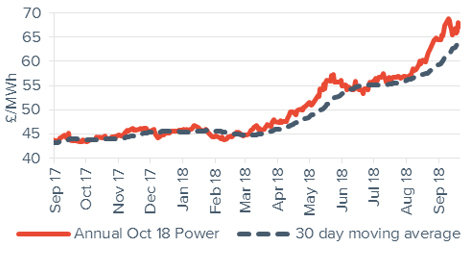 Seasonal power contracts increased 2.1% on average, with winter 18 power up 3.2% to £73.7/MWh. The weekly average Brent crude oil price rose for the fifth consecutive week, gaining 1.2% to average $79.1/bl. The market has been looking to the OPEC and non-OPEC coalition meeting in Algiers on 22-23 September, which aims to discuss how the group will mitigate the losses from Iran. API 2 coal rose 0.9% to average $96.7/t. Prices reached a fresh five-year high at the end of the week, hitting $98.4/t. Demand has grown in Europe following the recent record highs in wholesale gas prices across the continent. Average EU ETS carbon prices dropped 8.7% to €21.2/t, down from €23.2/t the previous week. Day-ahead power increased 5.2% week-on-week to £70.0/MWh. Prices fell to a one-month low of £61.0/MWh on 18 September amid forecasts of higher wind generation. October 18 and November 18 power rose, gaining 4.3% and 3.1% to £70.1/MWh and £73.6/MWh respectively. 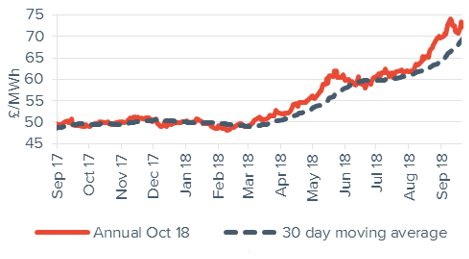 The annual October 18 power contract gained 2.7% to end the week at £67.2/MWh (up from £65.4/MWh). The contract is £4.6/MWh (7.3%) higher than the same period last month, and 54.5% above the same time last year when it was £43.5/MWh. 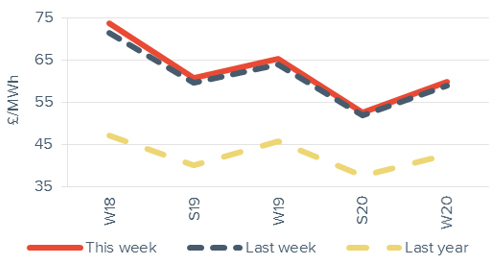 Day-ahead peak power reversed the previous week’s decline, rising 3.5% week-on-week to £73.0/MWh. This was £3.5/MWh above its baseload counterpart. Month-ahead peak power went up 4.4% to end the week at £75.4/MWh, £5.3/MWh above its baseload counterpart. Week-on-week, annual October 18 peak power rose 1.8% to £72.4/MWh. 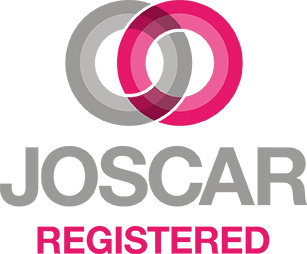 The contract is £5.2/MWh above its baseload power counterpart. 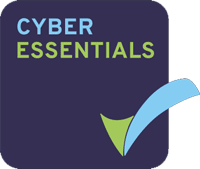 The contract was 6.5% above its price last month (£68.0/MWh) and 47.3% higher than its value last year (£49.1/MWh). Week-on-week, seasonal contracts were up 2.1% on average. Winter 18 power ended the week at £73.7/MWh (up 3.2% from the previous week). All seasonal peak power contracts increased last week, up 2.1% on average. Prices followed an increase in gas prices. The weekly average Brent crude oil price rose for the fifth consecutive week, gaining 1.2% to average $79.1/bl, up from $78.2/bl. Prices have been supported by the upcoming US sanctions on Iran. The market has also been looking at the OPEC and non-OPEC coalition meeting in Algiers on 22-23 September, which aims to discuss how the group will mitigate the losses from Iran. 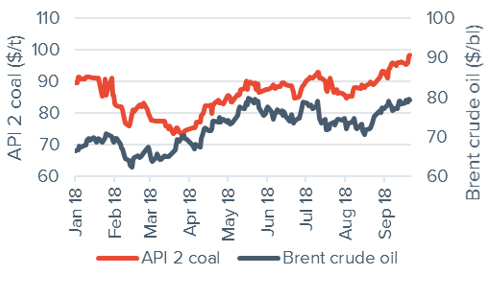 API 2 coal rose 0.9% to average $96.7/t last week. 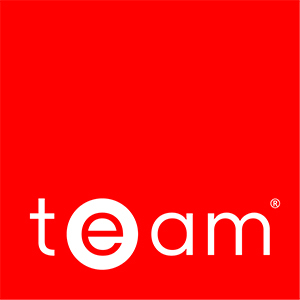 Demand has grown in Europe following the recent record highs in wholesale gas prices across the continent, resulting in record high stockpiles at the Amsterdam-Rotterdam-Antwerp hub. 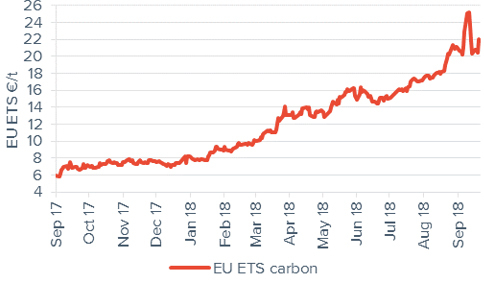 Average EU ETS carbon prices fell for the first time in 13 weeks, dropping 8.7% to €21.2/t, down from €23.2/t the previous week. Despite carbon prices having more than tripled in the last year, experts believe the current price is still too low to encourage a rapid switch from coal to gas. Secretary general of gas association Cedigaz, Geoffroy Hureau, said last week that a carbon price of between €22.0-€45.0/t is required to encourage the switch to gas, and anything higher could drive a preference towards renewables. 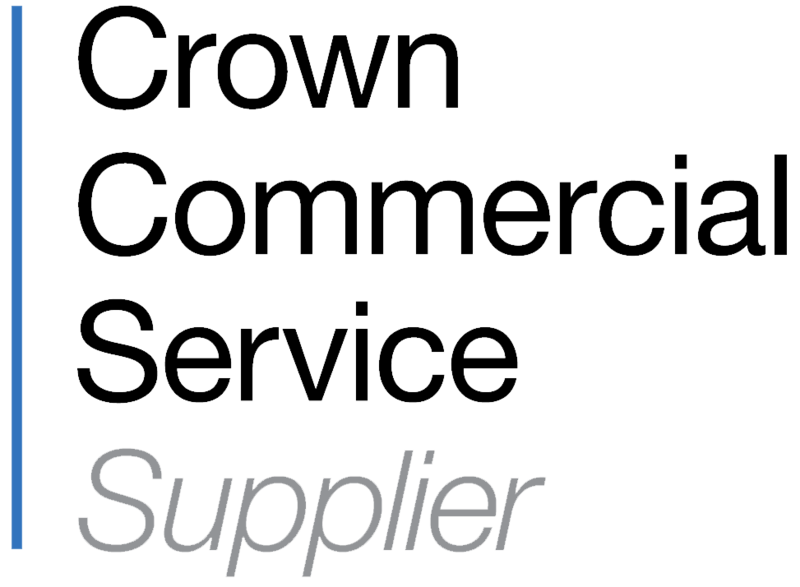 A third British EUA auction failed on 19 September following a lack of successful bidders as 12 bidders placed bids for 5.0mn of the 5.7mn EUAs available.